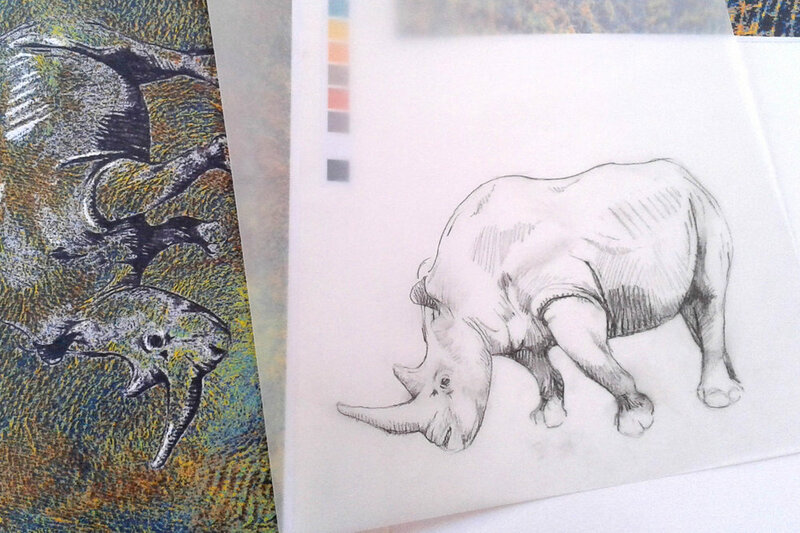 Original drawings are digitally transformed and hand-woven into bespoke ponchos or commission artworks. This creative UK textile design studio has access to the technology and know-how to produce skilfully mastered unique woven designs. Working with people to realise their artistic visions, we enjoy rising to a challenge and are happy to guide people through the commission weaving process. We offer a personal service and short lead times. We are very happy to discuss projects and collaborations. From 'Introduction to Jacquard' courses to specialist weave tuition using our studio TC2 loom, we offer a range of courses and internships in our studio in the southwest of England and are happy to discuss your requirements and tailor courses to your needs. Fiona Sperryn MA RCA is the creator of this studio and it was during a Masters course at the Royal College of Art that she discovered the equipment which allowed her to combine her love of drawing and weave - a jacquard loom. A high degree of technical knowledge underpins the design process. Fiona has developed her skills working as a freelance textile designer for weave, selling samples for industry in the UK and US (clients include CK home, CK menswear, M&S, Boden). She has designed in a New York studio and as a lover and keen learner of languages, has enjoyed working at mills in Guatemala and Italy. She has lectured in Textile Design at Falmouth University for a number of years and has exhibited in London, Cornwall and Berlin. Inspiration comes from her local environment, Bodmin Moor in Cornwall, and wider themes of sustainability and biodiversity. Fiona has a hands-on approach, drawing in various media, choosing colours and sustainable yarns before translating the ideas through digital media into files to be hand-woven on a state-of-the-art jacquard loom. A love of the technical processes, construction and finishing of cloth allow her to create a unique product. Every project is filled with new design ideas and fuelled with technical challenges.